This morning when I woke up, the brain coral was fine. But I just got home and it looks like something tore into the little guy? I’m very confused and concerned. Only one of his polyps are left. I got him from saltcritters and they tell you not to dip them or anything if you want your money back if something dies. So could something of come in with him? I don’t have anything in the tank that would harm him? Only a bunch of different types of hermits and snails. Of course my clowns and gobies, but they wouldn’t harm him? Can someone just tell me if it’s possible for him to make a comeback from this if I find whatever did this to him? 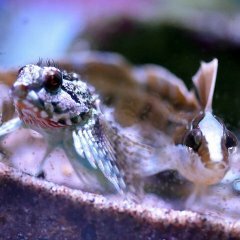 And tell me if anything in my tank could do this? a comback is possible. just feed (a reef roid paste dusting) a few times a week if the mouth will take it and keep in a moderate/low light and flow area. such a slow growing coral, i'd personally toss it in a hidden corner and revisit it in a year. Where was it placed in the tank? Favia prefer bottom of tank and not heavy light. Favias recede and look like that when unhappy. Usually too high of light or unstable alk. It looks fried to me. I've had it happen to a favia and enchinata. They seem to not do well under direct strong light. 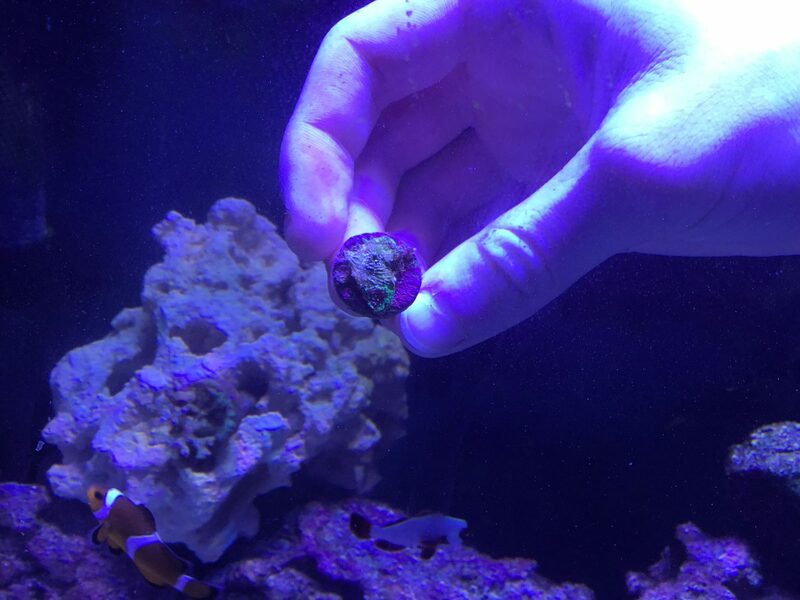 My other favia is doing great in the spot I put it, this is the only one that looks like this. I put it in a low flow area and low light. I don’t have any reef roids but I’ll get some.